Margaret Atwood is a literary goddess. If you haven’t read her most recent collection of short stories, Stone Mattress, move that to your number own spot on your to-reads list (recently reviewed here by Sarah Rito). 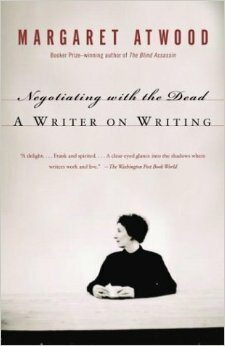 Since I’d already read it (and reviewed it on WPSU), I went back to a book she wrote that I’d somehow missed: Negotiating with the Dead: A Writer on Writing. This non-fiction book was exactly what I needed to read right now, although I hadn’t a clue when I began how relevant it would be. I’m going to write a longer review this week, because this book transports me back to graduate school, where I reveled in writing about books in the nerdiest of ways, and because this book also pushes me to think deeply about the practice of reading and writing–and I find writing about reading and writing allows me to come to a better understanding of both. So forgive me, dear reader, for this overly long review/love note to Atwood. There are six chapters to this, including an Introduction and a Prologue. The Introduction, titled “Into the Labyrinth,” explains how the book came out of a series of lectures for the Empson Lectures at the University of Cambridge in 2000 (the book was published in 2002). In this, she shares the three questions most often posed to writers: “Who are you writing for? Why do you do it? 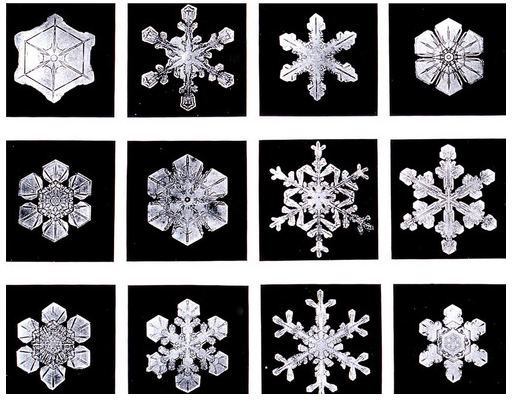 Where does it come from?” The list of the motive of writing following these questions I plan to share with students in both my AP and CP classes–it is a list, to me, that serves as a reason for why we breathe, why we live, as well as why we write. “’The truth shall make you free,’ said Jesus. ‘Beauty is Truth, Truth, Beauty,”’said John Keats. Chapter 4: “Temptation: Prospero, The Wizard of Oz, Mephisto & Co. Who waves the wand, pulls the strings, or signs the devil’s book? “Again, this chapter seemed to resonate with me since I just taught Dr. Faustus to my students. I read aloud the passage about writer as both Faustus and Mephistopheles. In this chapter, though, Atwood discusses the place where money and power “intersect” –the concept of “moral responsibility” and “social responsibility.” She writes of feminism as a female writer, and of responsibility as an artist and a writer. There’s a lovely little analysis of “Ars Poetica.” There’s also an short consideration of Prospero, from Shakespeare’s Tempest, which particularly intrigued me, as I recently read the ARC of Andrew Smith’s The Alex Crow, where the main character’s name, Ariel, reminded me of Prospero’s enslaved spirit. This text is dense with references to other writers and works upon whose shoulders Atwood stands upon. I found myself appreciating this more now than I might have had I read it twelve years ago when it was published, as I am a more mature reader, and a more widely read reader. This text is not for the faint of heart or for the shallow reader. It is, however, a celebration of writing and reading, and I highly recommend it for those other booknerds out there who want to feel as if they’re part of a club of other readers and writers. Kristie Burk is in charge of all of DASD’s online and blended learning programs, including the Downingtown Cyber Academy and the Downingtown Ivy Academy. Kristie has spent over two decades working as an English teacher in traditional, blended and online classes for several high schools and universities across the country. She has also been a computer programmer, a corporate technology trainer, a technical writer and editor, and an author of a test preparation book. We’re happy to have this as a guest blog on our site! This Friday Five is specifically about a short novel by Velma Wallis that retells the Athabaska legend of two old women who survive against the odds. This is a great book to pair with the short story “The Law of Life,” by Jack London. 1. Don’t complain. In this short myth, the two older women complain all the time, and in the time of hunger and trial, they are left behind. It felt as if the leaving behind was less about uselessness (after all, they tanned hides in exchange for food and shelter) and more about the incessant complaining. 2. Age should not limit you. When they are left behind, Sa’ is 75 and Ch’idzigyaak is 80. These women, while creaky in the bones, remain sharp in mind. The first day of slogging through snow to their destination seems almost impossible, but their bodies adjust, and old skills and knowledge return to them as they must become active participants in survival, rather than passive recipients of charity. 3. Friendship can save your life. The refrain after the People leave them behind Sa’ repeats is this: “we may as well die trying.” Without her encouragement, I’m not sure Ch’idzigyaak would have moved. However, as these women work together to build shelter, snare rabbits, and survive, they form a bond not only of shared experience, but shared stories. Late in the night on cold winter evenings, they share stories of their past and become fast friends. 4. Forgiveness may be difficult, but it is worth it. When the People realize the two old women may be alive, the Chief has to swallow his pride and admit he make a mistake. While the women fear for their safety initially, once they realize the People actually need help and don’t want to hurt them, they eventually forgive the decision made to abandon them. 5. Women have everywhere and always, been strong. This old myth of the Athabaska people, passed on in the oral tradition, reminds me of the strength of women in all cultures, at all ages, for all time. I am often surprised when my high school students share their perceptions that women have only recently been strong or held power. This story allows me to point to a particular story of feminine strength, courage, and survival. 1. Read that stack of books you’ve been eyeing all month. If you went to NCTE like me, you’ve probably been counting down the days until you can read all those books you brought home. 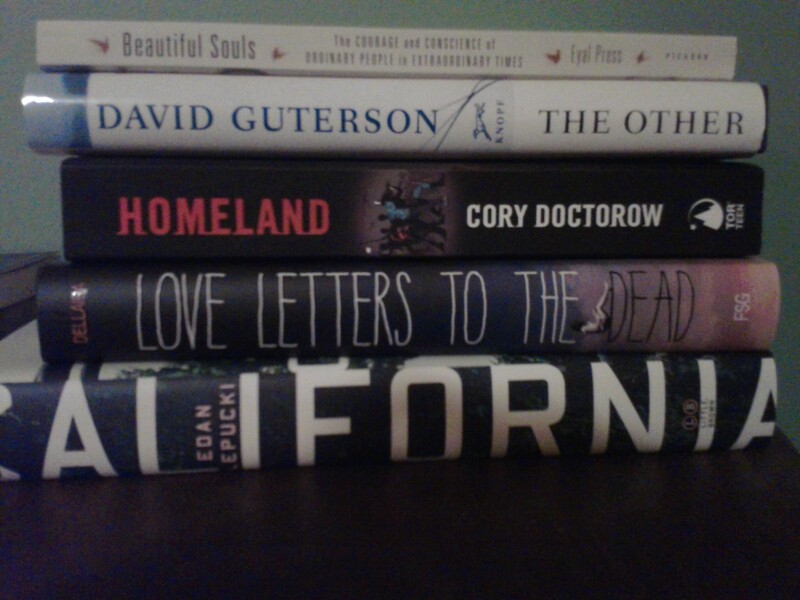 A few on my list: Homeland Cory Doctorow; Love Letters to the Dead Eva Dellaria; California Edan Lepucki. Even if you didn’t go to NCTE, I bet you’re excited to sit and read a book during the day, instead of as you fall asleep at night. 2. Go to the bathroom WHENEVER YOU WANT. I find it funny that I have to pay attention to what time it is and schedule my bathroom breaks. For two weeks I’m going to drink all the water I want and use the bathroom at random times! 3. Appreciate not having a deadline for turning back quizzes or papers or assignments. Our weeks are often dictated by all the things we have to do and the looming deadlines of progress alerts, IEP meetings, or online grade posting. Enjoy these two weeks where you can put aside your bag with the papers (or your laptop with web access) and just be a regular person. 4. Sleep a little later than 5:30am. Or at least stay in your pajamas a little longer. I don’t know if you’re like me, where I don’t really sleep much later on break, but I do love not having to rush in the morning. Instead, I’ll sit in front of my Christmas tree with my coffee and read a chapter or two before doing anything productive. 5. Spend time with family and friends. The fall is such a busy time for teachers, sometimes our family/ spouse /kids /friends become secondary to all our classwork/ students/ meetings/ planning/ prepping. So Happy Holidays from PCTELA, and enjoy all your time off with family, friends, and books. Our blog will return in the new year with new reviews, new giveaways, and new columns. Kate & the PCTELA Board. Heraclitus said you can never step in the same river twice, and that applies to books, too. 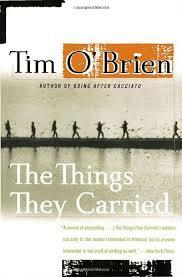 I’m re-reading The Things They Carried by Tim O’Brien since I’ll be teaching it in January to my juniors, only this time I’m reading it with a different lens. Since I last read this ten years ago, I’ve become friends with a number of veterans who fought in Afghanistan. Talking to them about their experiences has colored the way I read this story of the Vietnam Conflict. I am moved by this book far more than I was on my first reading. Essentially, this book recounts the feeling of being in the war, being out of the war, and trying to come home after the war. There is truth and there is story truth, and O’Brien explains to us multiple times there are ways to tell stories and there are different types of truths. What seems to matter most to him is having the reader really feel the emotional truth via stories. Have a book you want to review or a lesson you want to share? Send us a message and we’ll post your writing. “How would it feel to hide an enormous, important, life-threatening secret from your friends, your neighbors, and maybe even members of your family?” Mr. Finn, Grayson’s humanities teachers asks his students this in regard to the Holocaust, but for Grayson, this question holds even more importance, since he has an enormous secret, too. He is a girl trapped in a boy’s body. Grayson Sender doodles what look like geometric shapes in the margins of his books, but in his mind, the triangle is a dress under the circle of the head. He imagines his baggy clothes spinning into princess dresses. When he shops at thrift stores with friends, he gazes longingly at the skirts, and once he even tries a skirt on to see how it looks. Living with his aunt and uncle and cousins is hard enough, but living with this secret is much harder. Grayson finds a group of supportive friends, though, when he tries out for the school play– as Persephone. When his aunt finds out he has the part, she lashes out at Mr. Finn, but his uncle is more supportive. 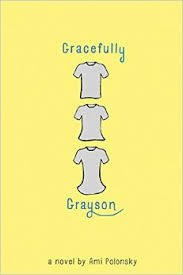 This book follows the difficultly Grayson faces as classmates call him Gracie and try to physically harass him. He finds a support system with the other actors in the play, and finally learns to accept how he feels and slowly begins to share who he is with others after discovering his parents knew and accepted him for who he was. This novel is a middle grade novel–a type of book I don’t usually read, but I got a copy at the NCTE conference. I have a student who identifies as agender and this book was interesting to read with that in mind. In fact, as I wrote this, I struggled with pronouns–am I using the right ones? What would be the best way to describe this book? I think this is a good jumping off point for students, teachers, friends, and family to consider what it must be like to go through life feeling as if you have to hide who you are out of fear that people you love might not accept you. Do you have a poem you think everyone should read? Submit it (and maybe include why or how you use it in class) and we’ll post it! Contact Kate at kap17 @ scasd. org.